In 1982 he backpacked through Asia and the Middle East for 6 months to get to Scotland and work in the famous Gleneagles Hotel kitchens for a season. Upon his return to Invercargill in 1983 he took over the reigns as Head Chef at the Kelvin Hotel, overseeing the Kelvin carvery and the opening of the Highlights fine dining restaurant at the “Top of the Kelvin”. Gordon remembers (during split shifts), reading the Sydney morning Herald at the Invercargill library and seeing a photo of the Executive Chef of Sydney’s new Renaissance Hotel and thinking “wow”, look at the big Chef with all his regalia. So ….. by 1987 Gordon realized he was a biggish fish in small waters and decided it best to venture north and branch out a bit and that he did! ….. not returning till some 23 years later in 2010. After all this, Gordon, his wife Fiapule and their son Qwenton decided to head home and drop anchor (April 2010). Gordon’s daughters alyce (26), alexandra (24) and grandchildren lily and kyle live in invercargill and he enjoys being close to them again. Considering he has had two very close calls with Tsunamis (Maldives 2004 and Pago Pago 2009), which were extremely scary, he is very happy to be home. They love Dunedin and running their own catering business. Whilst demanding he says, it does mean that you can flex your time, unlike the big hotel and resort positions that he has held. By the way….. Gordon did become very good mates with the Renaissance Executive Chef and many others in Sydney and afar. Gordon and Fiapule feel lucky they have been given the chance to form a partnership in the business with Tara and Tim. 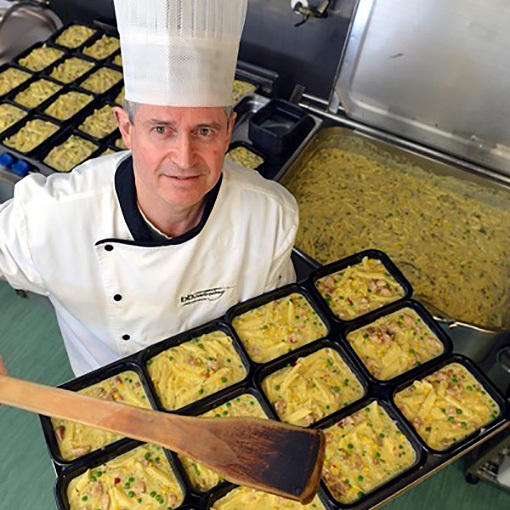 Our strengths complement perfectly he says, so as to run bbcatering in a very positive manner indeed. From there Tara changed positions and found her niche in the front of house, relishing the opportunity to work and interact with the public.Fortunate to have……stayed within the same hotel chain for 18 years, this gave Tara a very good grounding and enabled her to advance through the ranks of that Hotel Corporation. 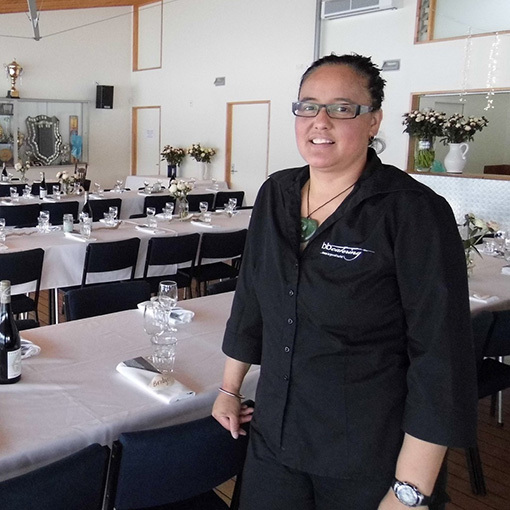 Travelling throughout New Zealand to company hotels, helping open restaurants or train staff, allowed Tara to see many different views of hospitality, which to this day she values. Her final position in this corporation was Food and Beverage Manager, overseeing the operation of the restaurants, bars, conference rooms, kitchens, cafe and staff. Throughout her growth within the industry, Tara was able to gather necessary skills to assist her in ensuring the ultimate goal of customer satisfaction. When the opportunity arose to purchase the company, Tara and her fiancee Tim had no hesitation in establishing a partnership with Gordon and his wife Fia, to make the proud team of new owners of BB Catering. Family is very important to Tara and being able to fit both business and family into her life is essential. The variable nature of the out-catering business allows her to be able to ensure family and business both get its fair share of her. Also an advantage to owning our own business is begin able to “pass it forward”, someone took a chance and helped guide me get to where I am today and now I am in the position to do the same for others. Tara thrives on the how’s, what’s, when’s and who’s and is just waiting to assist you in making your intimate dinner at your home, your lavish marquee wedding or your coporate conference a stress-free success.